As soon as I started working in the beauty industry, I realized that knowledge, the use of the right techniques, and passion are essential to have your customers happy and completely satisfied. Of course, every person is unique and each one of them represents a new challenge. As of today, I am celebrating 10 years of being a business owner and approximately 13 years of doing what I love.. being a cosmetologist! Just like in any other profession, I strongly believe that you must keep learning new procedures, products, and up to date with tendencies in the industry. I see myself as an artist, and I always try to give my best to obtain a positive result. However, even though I love my job, there are times where I find myself in need of motivation looking for classes, events, beauty shows or just an article that can enrich my knowledge. Every year, I try to attend at least one International Beauty Expo. So far, I’ve had the opportunity to visit shows in Los Angeles, Las Vegas, Long Beach (my favorite), and recently New York. When I tell my customers that I will be going to a show, they always get curious about it. They asked me about the event such as what the new tendencies are, what I am going to do there, and what classes or presentations am I going to attend. Even though the Expo at Long Beach has been my favorite so far, this year in March I had the opportunity of attending the show in New York, which is considered the fashion capital of the world! I visited the city before when I was in college, but now I saw it differently. It might be because my attention was focused on people, trends and everything around me... It is a city full of life with visitors from all over the world. In New York, I took different classes including hairstyles, haircuts, and color. Here are some of the trends that captivated me for this 2019, and I hope you are willing to try them. Another thing that I noticed was that many hair products are composed by natural ingredients which try to be more gentle and less aggressive to the hair and skin. Also, I saw many oils and diffusers for relaxation... I’ve always been a believer of aromatherapy and I love it! We are in Spring, and Summer is just around the corner; can’t wait to share the new trends with my customers. Get inspired with your next haircut or hair color; it’s time to take your hair in a new direction. What are you waiting for, we are all ready for your fresh new look! Give us a call today at 619 424 9323. It will be a pleasure for us to make your hair dreams come true! Do you know what is a Demi-Permanent Color or has your hairstylist recommend it to you before? Well... sit tight because I’m going to tell you what it is and why I use it with my customers, with myself, and my family. I started using demi-permanent colors more than 10 years ago, but the one that I’ve always been faithful is Redken Shades EQ. This product is so unique that keeps surprising me every time I use it, and I’ve become obsessed with its results. I’ve found so many benefits that I will be sharing with you directly from its website as well as from personal experience. Redken Shades EQ is a form of non-permanent hair color that fades over the course of a few weeks. This product is perfect for those who are looking for a moderate change while maintaining the integrity of their hair, or those who are coloring their hair for the first time. It is also good for blending gray, enhancing the natural or permanent color, toning highlights or for corrective work. Many years ago, I used to have a lot of highlights, and I loved Redken because I could use it to neutralize any undesired color or to cover them completely so I could go back to my natural hair color. My hair looked shinier and healthier than ever! About two years ago, I applied a red-violet color to my hair and after a couple of weeks, I used the demi-permanent color to intensify the tone. I received many compliments on how great my hair looked. As soon as I applied it, I noticed it as well and I felt so happy! So now, every time I feel my hair color starts to fade out or looks brassy, I use Redken Shades EQ to bring it back to life. Besides using with myself and my customers, I also tried it with my mom. She has always had thin hair and lost a lot of it after an emotional crisis many years ago. Some of her follicles died leaving empty spots on her scalp with no hair at all. She was also worried about covering her gray hair. She tried many organic hair colors and unfortunately the results were not favorable. Her grey hair wasn’t covered completely, it looked frizzy with different color tones. About a year ago, she visited me for a haircut and I suggested to try Redken Shades. Then, after using it three times, her hair looked completely different. It looked shinier, I saw more hair on those empty spots, and her grey hair almost fully covered… I would say about 90%. She is very happy with the results (we both are). As you can see, I love Redken Shades EQ. It is my #1 product as a toner for highlights or any work that requires color extraction. I recommend it to my customers who are allergic to ammonia or who have a very sensitive scalp. If you use the appropriate shampoo for color treated hair, the intensity of the color will last for many weeks. As I’ve mentioned in the past, every person is unique and the results may vary. I wrote this blog based on my experience and I wanted to share it with all of you. Keep in mind, every time you wash your hair, exposed it to sunlight or use hot tools, these are factors that increase the risk of your color to fade out. Please talk to your cosmetologist to see if Demi-Permanent Color is the right product to use based on your history and overall situation. 1. NO AMMONIA - Suitable for customers with a sensitive scalp. 2. ADDS SHINE - Your hair will be shinier than ever after a Shades EQ hair gloss. 3. COLOR CORRECTING HAIRCOLOR - Fix different shades on hair, brassiness or regrown roots. 4. TAKES ONLY 20 MINUTES - Processing time once the color is applied and under the hair dryer. 5. CHANGE YOUR COLOR EASILY – Flirt with your favorite hair colors. So now you know! A demi-permanent color may be a good option for your hair based on what I just shared with you. For sure I’ll keep using it with myself, my mother, and with my customers. Thank you for reading my blog and keep tuned for more to come. Many people think there is no difference between professional hair-color applied by a cosmetologist, and applying at home hair-color purchased from a local supermarket… what we call “box hair-color”. Throughout my career, as I was getting experience, I started to identify who used a box and who didn’t just by touching the hair of a customer. 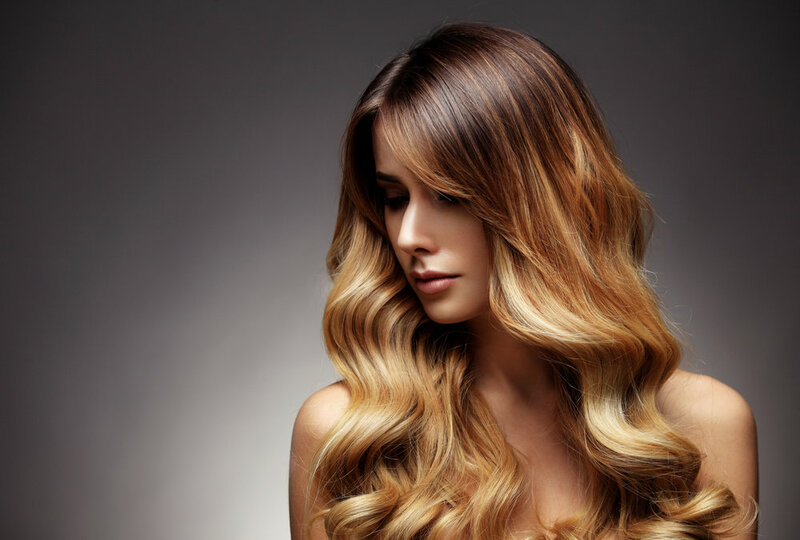 When a hair-color is done at home (from a box), usually the hair feels rough, the customer constantly complains that it falls more than usual, it looks opaque, and in many occasions, it has different shades. In my personal opinion, I am pretty sure that there might be some acceptable at home hair-color products out there, but I see it often with my new clients that they have the same complaints about the use of these home products. I understand that sometimes they are more affordable and convenient, but professional products have better ingredients, quality, and results. My customers and I, have noticed that using a professional hair color, grey hair has better coverage, it looks shinier with an even tone, conditioned, and the color lasts longer without having to worry about a brassy or opaque look. If you frequently use “box hair-color’’, I invite you to switch and try it professionally. Think about it, at the end…it is a chemical, we use it to feel good about ourselves, to give a good image, stylish or just vanity…we all have our reasons, but what do you really want to apply to your hair, to your skin…to your body? Putting the fact that I am a cosmetologist aside, I personally as a consumer prefer a hair-color done by a professional, It is not only better for your hair but it eliminates the hassle of having to clean your tools, color stains off the used area, even on your face and the outcome is often unpredictable. 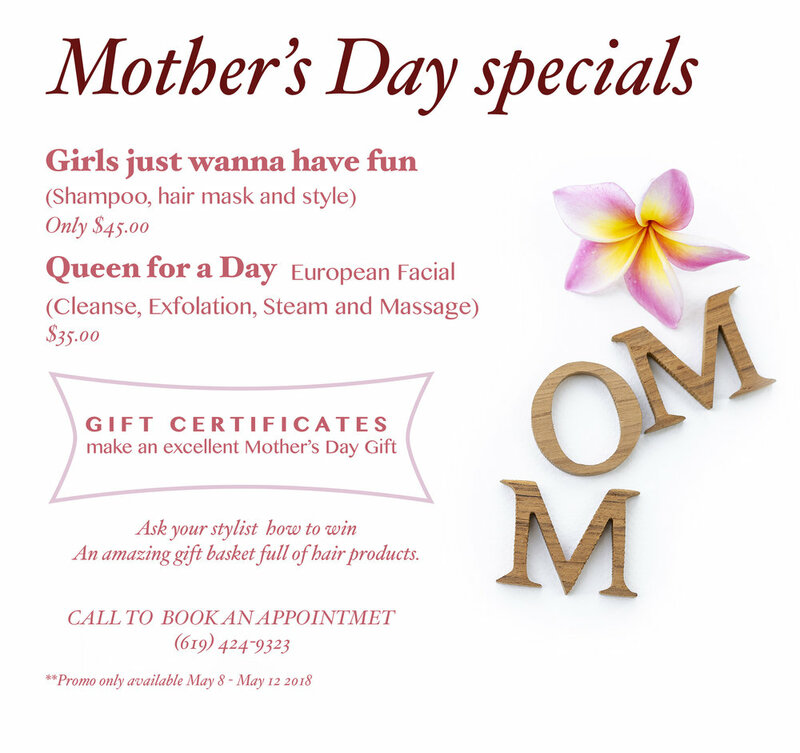 Pamper yourself and make your next appointment at Criss Cross Beauty Salon, we will take care of you! How often do we need to cut our hair? How to combat heat damage on your hair? This is a challenging question that I have been asked on many occasions by my customers. I have customers who love their long hair and suffer just by thinking on cutting it. In contrast, I have other customers who visit the salon every four to six weeks for a trim.  Fragile & Thin hair – It depends if chemicals are applied, but regular care may be needed.  Bob or Pixies style – Require more care and visits to the beauty salon to trim and reshape it.  Thick & Long –Less maintenance as long as is not damaged. Based on what I hear from my customers, I believe that you don’t have to wait until you have splits ends or your hair looks damaged. You could have the best care for your hair as possible, but the reality is that every day our entire body is exposed to heat, air, pollution, and so many things that our eyes can’t see. Sometimes we tend to use hot tools or chemicals that eventually anything that we put on our hair in an excessive manner may end up damaging it. If at any moment you start looking at your hair with lack of shape or when you try to style it, lacks volume and body, it might be time to cut the layers or just a trim to help manage it. Some of the techniques that I use on my hair to keep it as healthy as possible, is the use of a good hair mask at home to maintain it hydrated. I also tend to use a good heat protector when using a curling iron, flat iron, or sometimes just the hairdryer. When customers ask for a recommendation, I tell them to pay close attention and their hair will let them know when it is time for a cut. In general, if someone's hair requires high maintenance, my recommendation is to visit a beauty salon every two months for a trim or just to shape it. If my customer has long to medium hair in length, I would tell her to trim it at least every three months to keep it shiny and healthy. Of course, there are cases that regular care is needed so every four to six weeks is necessary to keep the desired style. Not all cases are the same, every person is unique and I strongly recommend you to talk to your cosmetologist if you need a second opinion. At the end, this is what I tell my customers, “Don’t be afraid to cut the ends of your hair or the necessary inches that it needs. Once you do it, your hair will thank you for it. Believe me, every time you do it, you will feel better, lighter with a healthier and brilliant hair. Try to take care of your hair as any other part of your body. You have to provide the necessary nutrients and tools to take care of it, but the essential part is very simple, every time you feel your hair needs it, go for a trim to keep it happy”. Don't second guess it! give us a call and we are here for all of your hair needs, Book your next hair appointment with Criss Cross Beauty Salon and we will take care of you! Keep your hair healthy and happy! In my 10 years of experience as cosmetologist and business owner, if there is anything my customers complain most about, is their hair being frizzy and that awful feeling like their hair is out of control. Whether is straight or curly, it's always the same story. No matter how many hours they spend styling their hair, it's a matter of hours before they start losing control and their hair is back to frizz. "It’s like it had a mind of its own!" – (Anonymous client). When I hear that, I offer the keratin treatment as an alternative to make it easy to stylize and manage their hair. It is most helpful when they go out on vacation or when the weather is humid, or close to the beach, that way they spend more time in the fun, rather than worrying about their hair. Our body naturally produces Keratin (protein), but as time goes by, the production is reduced. Some of the factors that influence this are age, contamination, and lack of hair care eventually becoming thin and fragile. Keratin helps to strengthen hair, and with the elimination of the frizz effect resulting on well-defined curls, long lasting straightening. It also brings out the natural shine of the hair and minimizes the time spent stylizing. This is an option if you are the type of woman who has to use hot tools like straighteners and others every morning. 1. Soft hair, without frizz. 2. Your hair will be hydrated and look shiny. This process includes straightening your hair, this will seal in the protein in your hair. Consult with your cosmetologist the ingredients contained in the products (prior to the treatment). It is helpful to use Keratin from 1 to 3 times per year based on needs and overall health. As I mentioned above, it helps if you are going on vacation, the summer is coming, and/or you want to make your life easier. After treatment is applied, it is recommended to avoid washing the hair from 48 to 72 hours and eliminate the use of hair bands, hair clips or bobby pins. The shampoo to use is also crucial, which is important to discuss the products intended to use before/after. As with any treatment to your hair, every person is unique and different. As a cosmetologist, I offer this treatment as an alternative for my customers. Please be advised that because every individual is unique,results may vary... however in my 10 years of experience, I have never received a complaint or a negative occurrence for any of my customers… I have only experienced positive results and happiness. That’s our goal in Criss Cross Beauty Salon, keep and maintain our customers completely satisfied. The results: An effortless magazine look right off the shower. Faded colored hair? Here are some facts you must know! Have you ever wondered why your hair color seems like it never lasts? Here are some fun facts you may want to watch out for, and great tips that will help you maintain that radiant hair color! Many studies on hair discoloration have shown that exposure to the sun will cause your colored hair to suffer discoloration. Another factor that will cause your colored hair to fade out is the excessive use of hot tools like hair dryers and flatirons. Stress can also effect your hair's health directly. Being under constant stress will result in the weakening of your hairs thickness causing it to lose its shine and color. Pay close attention to your shampoo! It is recommended that you use a professional shampoo specific to maintaining your hair's color as well as a hydrating hair mask that will protect your color. Now that we have an understanding of the facts that affect our colored hair, here is one more tip for you... visit a professional colorist that will resolve your unique need! In your next visit, I highly recommend for you to ask for a color application (demi-permanent) which will help make your hair healthier and it will bring back its shine. Redken Shades EQ Gloss is a great option if what you are looking for is to harmonize faded colors, it is also perfect to matte super light blondes. So sit back and relax! Wear a fashionable hat under extreme sun exposure, and visit us for a personalized hair consultation! Don't be afraid to show off your great hair color and shine bright! Schedule your appointment with Criss Cross Hair Salon today!